The Phoenix is a radical new creek boat from Wavesport with a fast stable hull for blasting through features without being knocked off your line. After five years of testing the river kayak is reborn with the Wavesport Phoenix. The idea behind the design was to get a fast hull shape with plenty of nose rocker for paddling big features safely whilst retaining enough stability to ensure the boat is rock solid on whichever line you’ve chosen. The long nose helps with speed here and the wide stern ensures stability. The seat is set back almost 20cms and the kayak is 66cms wide. 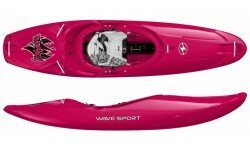 Of course as Wavesports top whitewater boat the Phoenix comes with Core Whiteout Outfitting allowing plenty of customisation in the cockpit. With the Phoenix, Wavesport really have turned the dial up to 11! 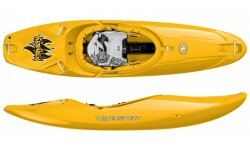 CORE WhiteOut Outfitting – This outfitting system have been specifically designed to maximise contact with the kayak to ensure you have maximum control of the kayak. The CORE system incorporates easily adjustable seat with ratchet leg lifters as well as ratchet backrest, foam hip pads and auto-adjusting bulkhead footrest. As well as all the other standard features of the Diesel range. Deck Height: 39cm | 15.25"
We offer a delivery service for the Wavesport Phoenix - CORE WhiteOut to home and work addresses throughout England, Wales, Scotland, Northern Ireland & Ireland. 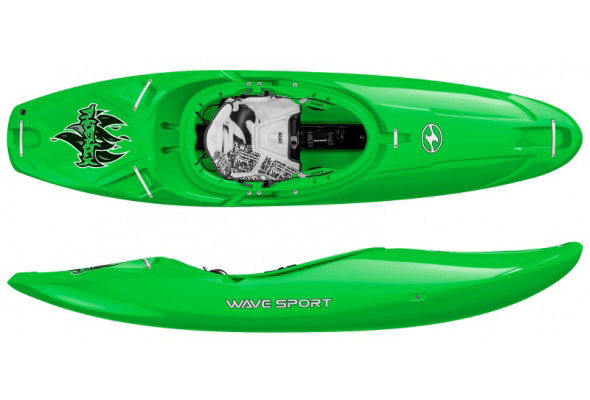 Buy a Wavesport Phoenix - CORE WhiteOut online from our website and collect from our store in Newhaven, East Sussex or from any branch within the Canoe Shops Group. There is no cost associated with this*.